School’s back in session, and we’re all so thankful! 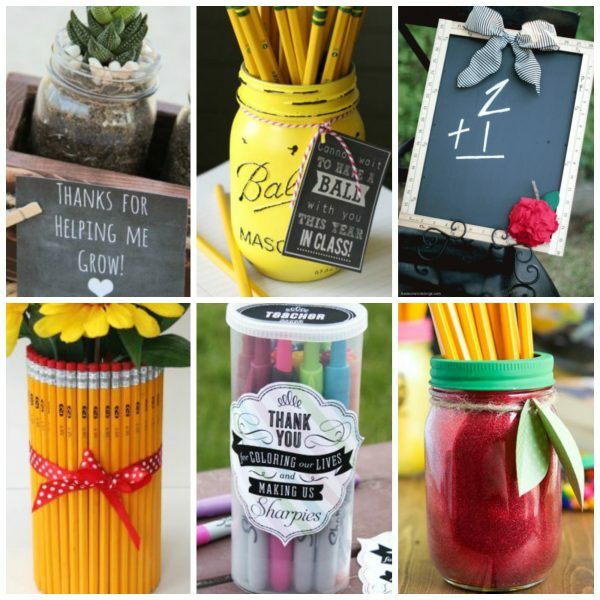 Why not show your child’s teacher just how much you appreciate them with a little back to school gift? 1. 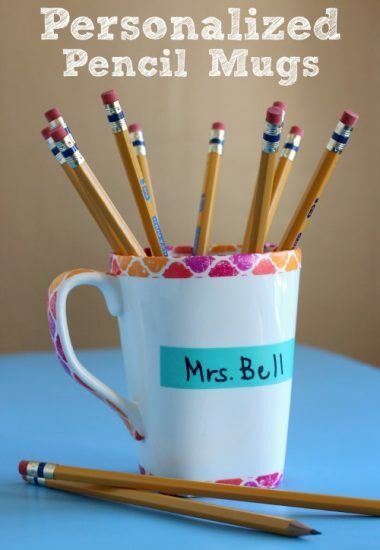 Personalized Pencil Mugs: You don’t have to worry about someone walking off with your mug when your name is on it! Find the tutorial over at Make and Takes. 2. 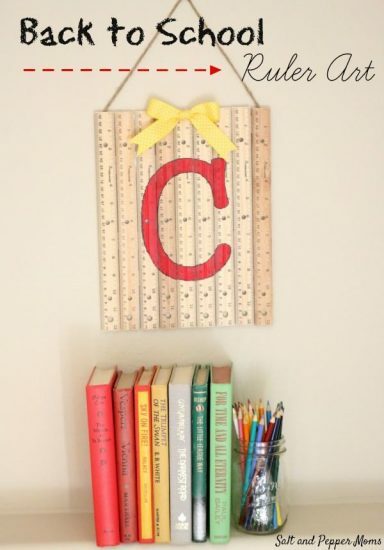 Back to School Ruler Art: Every classroom needs something pretty on the wall, and this ruler art fits the bill. Find the tutorial over at Hometalk. 3. Thanks for Helping Me Grow Gift: Teachers help their students grow each year, and not just academically. 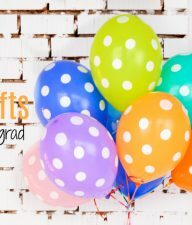 Show your appreciation with this gift idea! 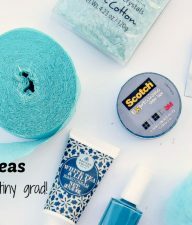 Find the tutorial over at Shanty 2 Chic. 4. 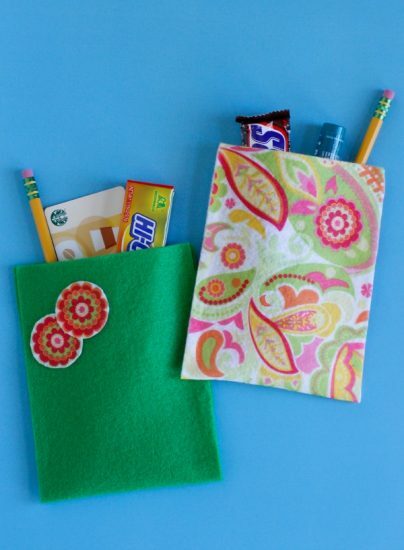 Felt Goody Bag: Slip a couple of goodies in a handmade bag and brighten your teacher’s day! Find the tutorial over at Make and Takes. 5. 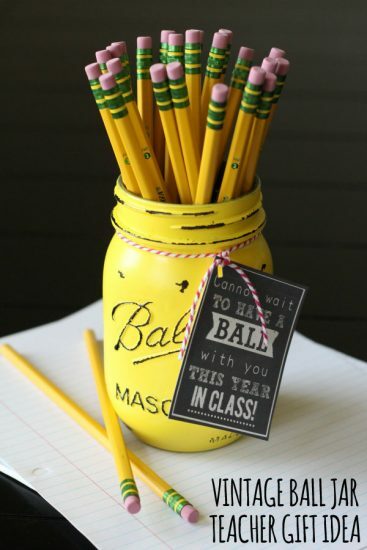 Ball Jar Teacher Gift: This classic pencil jar will look so nice on your teacher’s desk. Find the tutorial over at Lil’ Luna. 6. 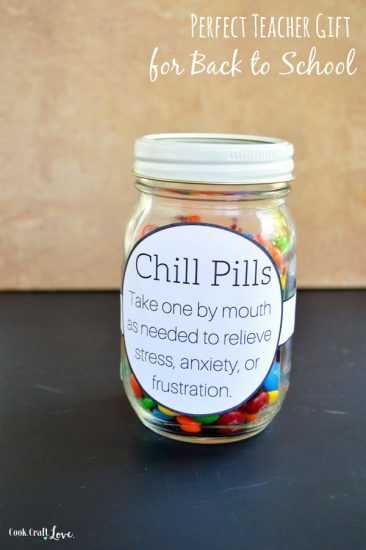 Chill Pills: Everyone needs a chill pill every once in a while. Give your child’s teacher a year long supply! Find the tutorial over at Cook. Craft. Love. 7. 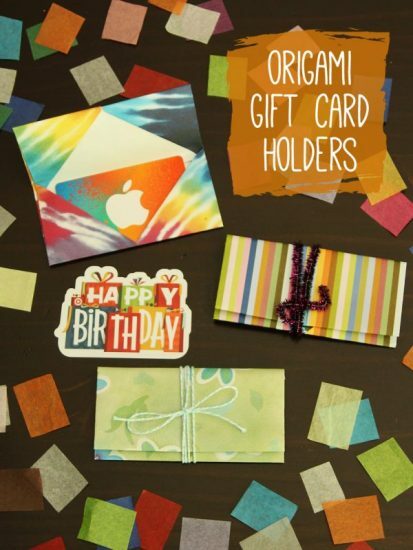 Origami Gift Card Holders: A gift card doesn’t have to be boring when you surround it with an origami case. Find the tutorial over at Make and Takes. 8. Thank You for Coloring Our Lives Gift: A cute gift that’s also useful is a win/win! Find the tutorial over at design. wash. rinse. repeat. 9. 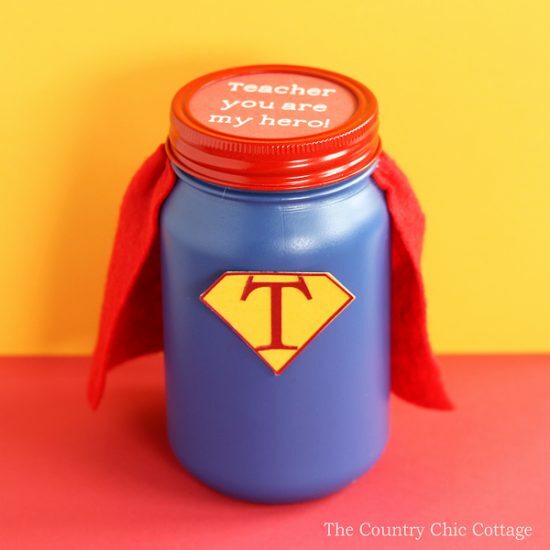 Hero Teacher Gift in a Jar: Teachers really are heroes! 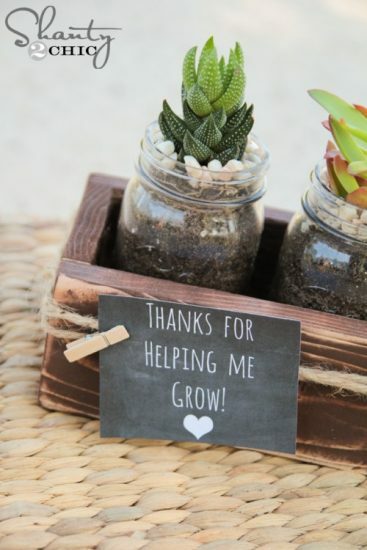 Show your thanks with this mason jar gift idea. Find the tutorial over at The Country Chic Cottage. 10. 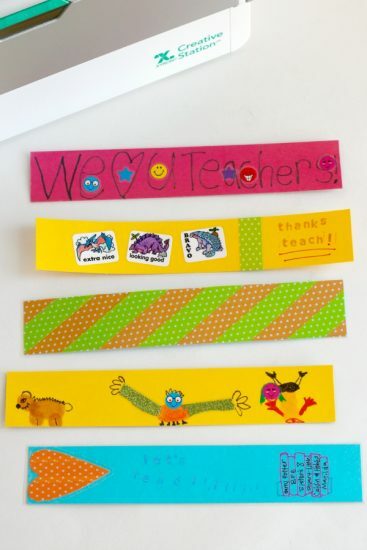 Back to School Bookmarks for Teacher: You can never have enough bookmarks in a classroom. Find the tutorial over at Make and Takes. 11. 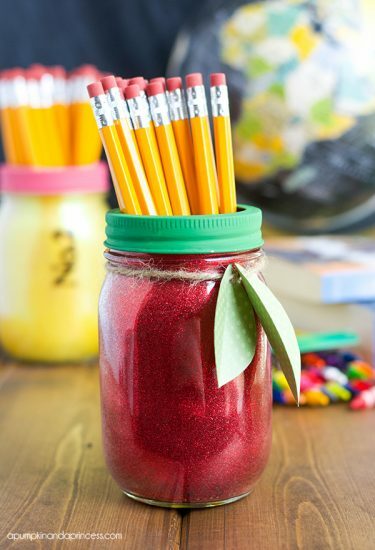 Glitter Mason Jar Teacher Gift: Everything’s better with a little glitter! Find the tutorial over at A Pumpkin and a Princess. 12. Ruler Picture Frame: An extra blackboard always comes in handy! This one’s surrounded by rulers! Find the tutorial over at Tater Tots and Jello. 13. 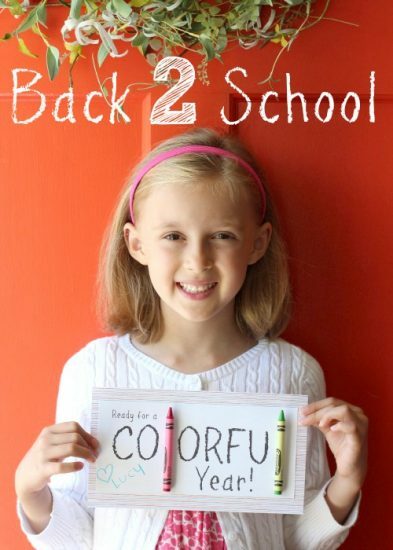 Ready for a Colorful Year Gift: This gift will let your teacher know you’re ready for a colorful year! Find the tutorial over at Make and Takes. 14. 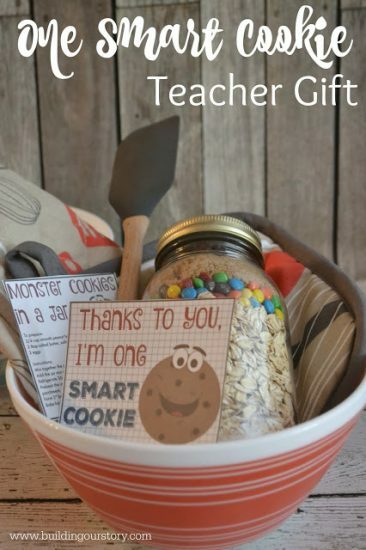 One Smart Cookie Teacher Gift: A great teacher helps their students become “smart cookies”. Reward them with some cookies of their own! Find the tutorial over at Building Our Story. 15. 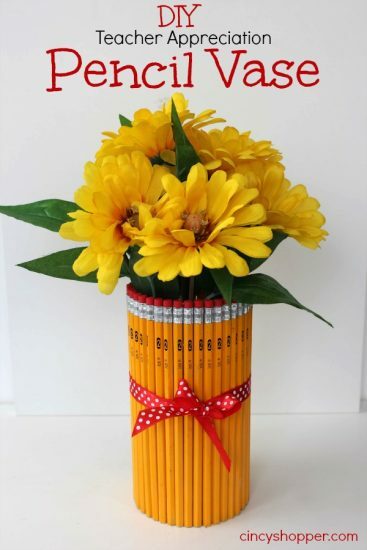 Pencil Vase: Vases made out of school supplies are always a fun gift idea. Find the tutorial over at Cincy Shopper. 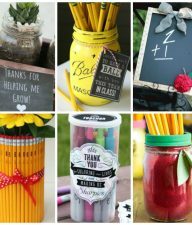 Help your child’s teacher get the year off to a great start by letting them know how much they’re appreciated! 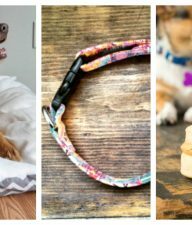 They’re sure to love any of these homemade gifts!